There’s a toy that’s been making the rounds on Twitter, mostly because it’s so illogical it couldn’t possibly exist in our world. In short, it’s Lieutenant Worf... Master Jedi. Your eyes aren’t playing a trick on you. On the surface, this looks to be a Klingon Jedi action figure from Kenner’s Star Wars: The Power of the Force series, depicting Worf as someone who, himself, wields the power of the Force. It recently appeared on Reddit, where someone said they’d picked it up at a flea market. Speculation has abounded. Is this real, or perhaps a Chinese bootleg? Sadly, the answer is neither. It’s a custom creation. 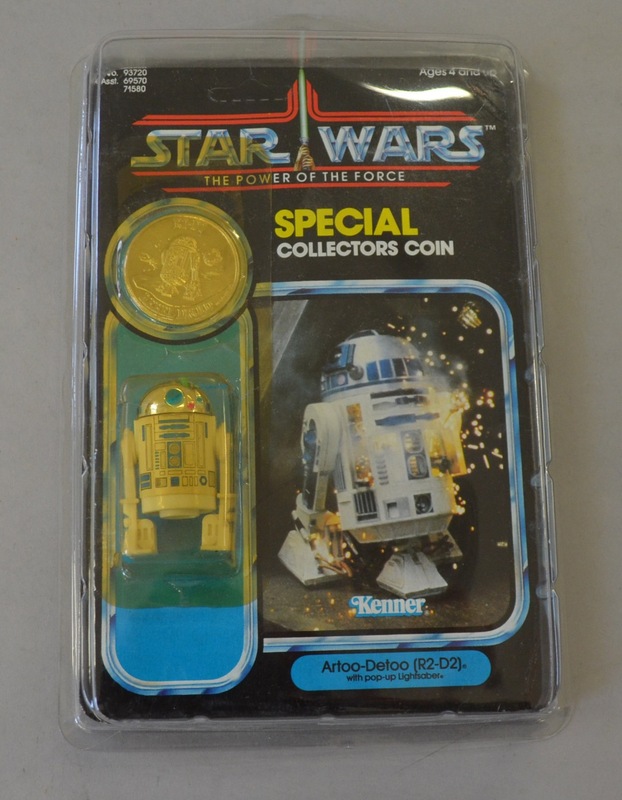 As pointed out on Reddit, the box number matches an R2-D2 action figure from the Power of the Force series, and the “collector’s coin” shown on the Klingon Jedi figure doesn’t actually exist in that series. The box is from a series that Kenner started and ended in 1985, but Star Trek: The Next Generation didn’t debut until 1987 (Kenner rebooted the action figure series under Hasbro in 1995, but with a different box design). And there’s actually an eBay archive for the Klingon Jedi action figure, showing it was a custom model. It’s not on the site anymore, so sadly I wasn’t able to find out who made it in the first place.